Order your Sensor Dots now! Interested in building your own wearable health application but frustrated by the lack of tools that can record high quality vital signs? We designed Sensor Dot specifically for you! The size of a quarter, Sensor Dot offers endless possibilities for prevention, prediction, and personalized care applications. 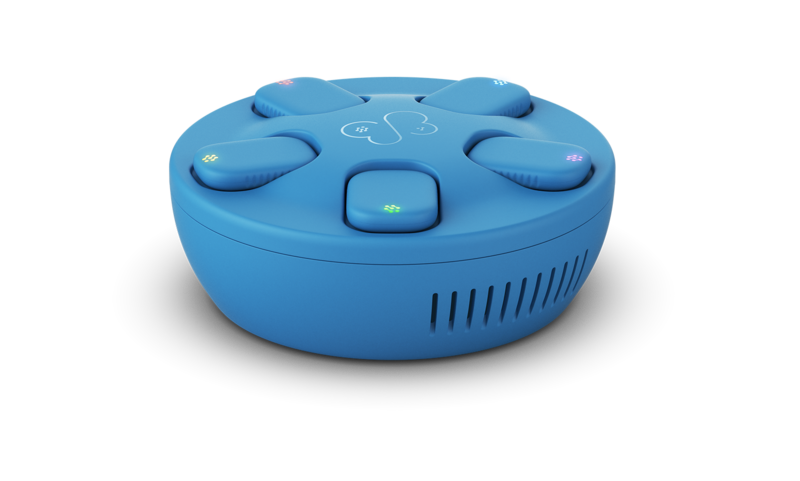 Even better, each exploration kit contains 5 Sensor Dots that can be used simultaneously. ... and many more are on the way! At Byteflies, we know that comfort is key for 24/7 monitoring. That's why we kept the package as small as possible. The Sensor Dot is the smallest multimodal device on the market. We squeezed an entire vital signs lab into a single Dot. Many devices measure signals on the wrist only. While this may be an obvious location for PPG and motion, it is not for other signals. Start exploring your wearable health idea with multiple patch designs and quickly identify the best trade-off between signal quality and user comfort. Garbage in, garbage out. The combination of Big Data and AI are extremely powerful as long as your data is high quality. We give you access to the raw, unprocessed data so you stay in full control of your application. The correlation between multiple signals provides a whole new level of information on the interplay between different physiologic systems in health and disease. Our Sensor Dots will synchronize with one another to allow multimodal signal analysis. This powerful feature will be unlocked soon! Manual data downloads, complex configurations, and impractical charging solutions can all negatively impact your workflow. The Byteflies Dock bundles all of this functionality in one handy and small device. Simply snap your Sensor Dots magnetically into the Dock and data and power will start flowing!